Counting Calories for Weight Loss: Is it important? It is “a drag, a hassel, too difficult, too time consuming, too much work”; these are just a couple of examples of what patients tell me daily about counting calories. Unfortunately, the truth is, if you don’t count your calories, you don’t know if you are getting too many or too few calories when it comes to weight loss. Weight loss is a relatively simple equation: weight loss = calories in + calories out. If you are eating more calories than you are burning, you are going to gain weight. In order to lose one pound of weight you need a calorie reduction of 3,500 calories. This breaks down to a caloric deficit of 500 calories per day in order to lose 1 pound of weight in a week. Calories are little monsters that sneak into your closet and sew your clothes a little tighter each night! Just kidding, but sometimes its seems this is the case! Calories are the energy we gain from the food we eat. Calories fuel our bodies and every action our bodies perform. Carbohydrates, fats and proteins are the types of nutrients that contain calories and are the main energy sources for your body. Whether calories come from fats, carbohydrates or proteins, it doesn’t matter they are converted into physical energy or stored within your body as fat. The stored calories will remain in your body as fat unless you use them up, either by reducing calorie intake so that your body must draw on reserves for energy, or by increasing physical activity so that you burn more calories. It can be as simple as choosing lower calorie food options for higher calorie foods; reducing portion sizes; or skipping higher calorie, lower nutrition foods. Try making wiser food or snack choices: for example, instead of eating 2 slices of pizza, eat a salad with no or lower calorie dressing and one slice of pizza; eat air-popped popcorn instead of potato chips; eat fruit instead of a slice of cake or pie. Eat from a plate or bowl instead of the from the package/box/container/etc. This will make you more aware of the amount of the food you are consuming. Consider putting a smaller portion or serving on your plate than you think you will eat. If you are still hungry after eating the smaller portion, allow yourself to get seconds. Check nutritional labels and pay attention to the serving size and the caloric content per serving size. Sometimes we glance at this and think the bag of chips we are eating at lunch is one serving when it is actually two. There are several ways you can count calories. You can do it the “good ol’ fashion way” and write everything down. You can use an application for your smart phone such as Lose It, MyFitnessPal or Sparkpeople or you can go to the websites and log your calories on the computer. 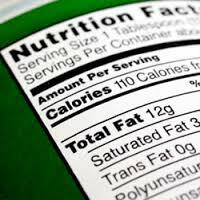 Most foods have nutritional labels to obtain the caloric content of foods, restaurants are now listing these values in menus and make the calorie count readily available, or there is always Google, you can type in the food or beverage and search the caloric content. Make sure you note serving sizes and if you are consuming more than 1 serving size, note the additional calories you are consuming. So you see, calorie counting really is a very important component of weight loss and maintaining your weight loss. Next PostNext Does Your Daily Life Cause Weight Gain?